"Intro to Internet" is a two part program for adults. 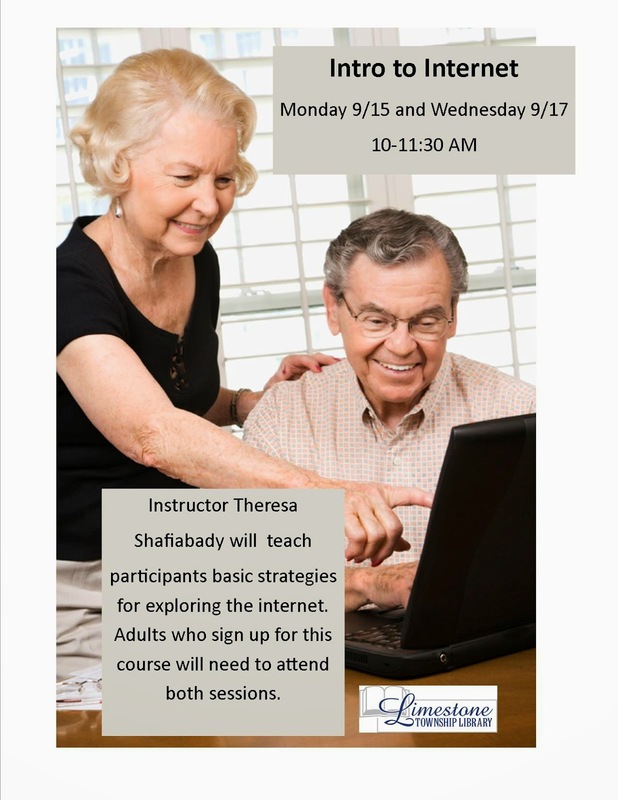 Our instructor will be Theresa Shafiabady. Sign up today to learn the basics of internet searching. We will meet on Monday 9/15 and Wednesday 9/17 from 10-11:30 AM.